What are all your personal records and State Meet results? I have been in the State Track Meet every year since 2016 and I was in True Team State in 2017 and 2018. 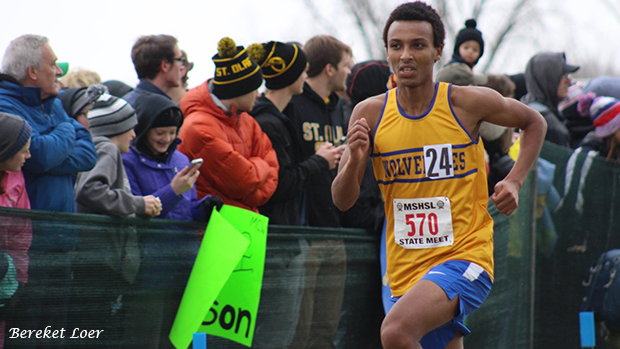 I was also in the State XC Meet in 2017 and 2018. I was in both baseball and football early on. I really enjoyed both but I always had the lingering thought that I should probably be a runner. I joined track my eighth grade year. I had been in baseball since I was in kindergarten, so it was tough decision. I joined cross county the following fall. This was mainly, because I had suffered a concussion the previous football season. I am also in basketball. It is my favorite sport, even though I am better at track and cross country. The first year at the State Track Meet. When we got our 6th-place medal in the 4x200, it felt like the greatest thing ever. At the beginning of the year, we thought that it would be cool just to make it to sections. However, as the year went a long we knew that we could do something more. In years past, when the anyone made it to sections, the team would have a fun week and mess around leading up to the the meet. Not for us though, we trained even harder. But what made it even more special was that the year before one the top sprinters on the team died in a car accident. I didn't know him very well, because it was my first year in track, but the rest of my relay did. They were all best friends with him. 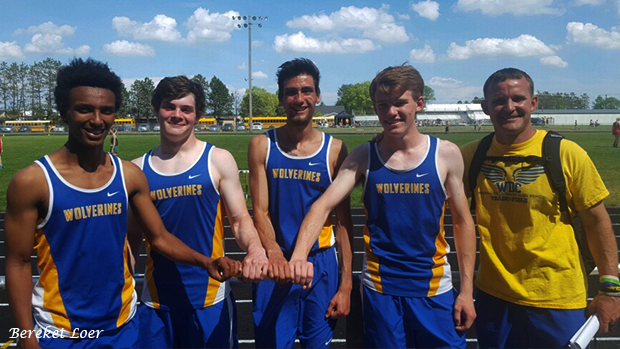 They had been working to make it to State longer than I had, and it was really cool being able to help them achieve their goal for their friend. 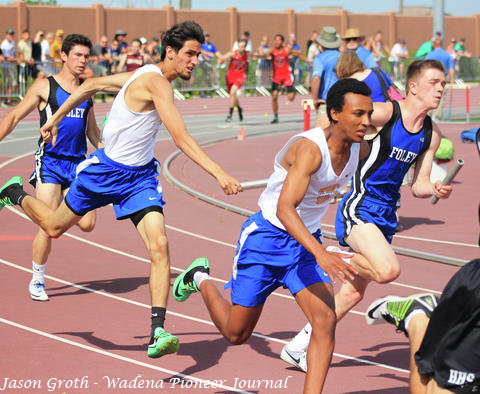 The Wadena-Deer Creek sprint relays have been having some great success the past few years. How have they been able to achieve their recent success? Our coach really loves relays and that mentality has really rubbed off onto the team. We all enjoy the success of our relays much more than any individual event. We also work very hard on them. We rarely have a day where we don't hit every single hand-off at least three to four times. Tell me a favorite track-related memory of yours. We had a track practice that was a run around town and at the end we stopped at the local ice-cream shop. My friends and I all got a pint of ice cream. It was a good idea at the time, but when we were nearing the school, we were all racing to the bathrooms, because we weren't feeling the best. Who are some of your favorite athletes to compete against (either teammates or from other reams)? Lucas Hinojos is a close friend of mine. We push each other in cross country all the time. We are very evenly matched and I never know who is going to win weather it is a meet or practice. Chase Domier is also a teammate that is great competition. He pushes me to my max and sometimes I can't even catch him. My family comes to most of my competitions. It is mainly teammates that are cheering. What is a challenge, or challenges, you have had to face as an athlete? The biggest challenge I have faced is probably just the will to keep pushing as hard as I can. I started out track in 8th grade, and I was good right away. 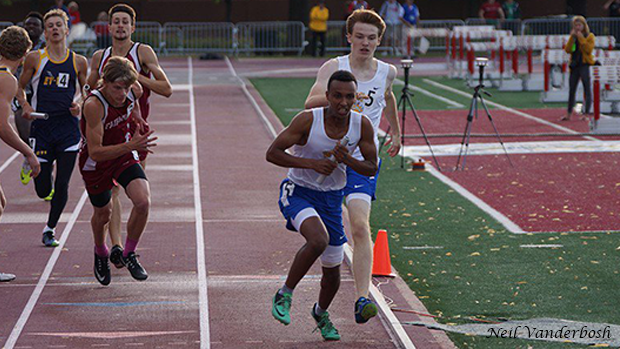 I had really good times for my age and I thought if I could go on that pace, I could hold every school record. However, in running sports you rarely improve by large margins. I have gotten faster every year, but not by much. It is hard to keep pushing when you don't see a lot of improvement. I have not accomplished all my goals, but if I stop then I never will. There are always so many reasons why I could or should stop trying. I even fall for these temptations sometimes. I always remember that it will always be worth it in the end when I accomplish my goals. I would like to get into the 22's in the 200 and also get a under 50 seconds in the 400. Our number-one priority is to win State in the 4x200 again. As soon as we won last year, we knew that we needed to do it again. We know that we can do it - it will just be a matter of getting our hand-offs down and working hard in practice. We also want to bring home another conference and True Team sections title. We believe that we still have the talent to do both. Winning those meets are very important to us because it shows how good we are overall as a team, and that it isn't just because of our sprinters, jumpers, or long distance. It is because as a whole team we are really good. I take school pretty seriously. I get good grades and test scores. I would like to go to a 4-year university. I haven't really gotten talked to for athletes, so my number one priority is my schooling. I will go to whatever school offers the best program for the degree and career path that I eventually choose. I am currently thinking about studying a field of engineering, so I am looking for good engineering schools. I work at the local movie theatre. I hang out with friends, and participate in church activities. You will only be as good as you want to be. If you don't push yourself you won't go anywhere. A lot of people say that they want to be good. There is a big difference in wanting to be good and actually being good. It is mostly in how you carry yourself. If you want to be good, that is just the first step. Then you have to go about and actually doing something to accomplish that goal. When you are doing the things to get better, you have to put in your all or else it still won't matter. The last step is to keep at it. If you don't keep going until you accomplish your goal, you won't reach your goal. The only time you stop is once you have reached your goal. Then once you reach your goal, you set another one. Do you have any specific advice or tips for the sprints and/or relay events that you would like to share? When taking a hand-off, take off late because you're probably still too early! I have eaten a bee... but it was an accident.